Look for dolphins, seals, pelicans and other marine life on this 3.5-hour catamaran cruise from Walvis Bay. 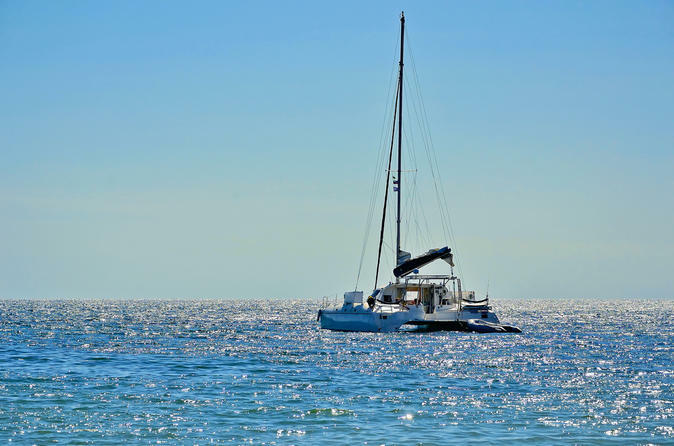 As you sail, watch for the playful dolphins that call the bay home; look for the Cape fur seals that mass on its shores; and see the oyster beds where Walvis Bay oysters are cultivated. During whale season, (July through August), keep your eyes peeled for whales, too! Plus, savor a light buffet lunch as you cruise, including delicious oysters farmed in the bay’s waters, and two glasses of sparkling wine! Fishing is an activity to try and catch fish, there is always a choice between fishing on shore or on boat. It is not a very difficult activity,the most common form is done with a rod. Reel,line,hooks and anyone of a wide range of baits. Fishing is not all about catching fish but also to relief stress. 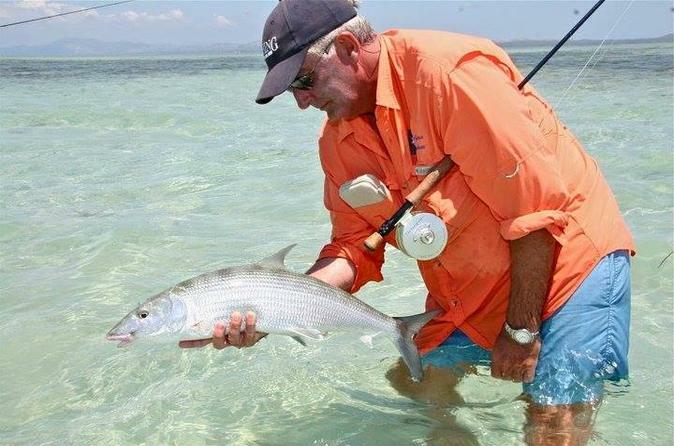 While fishing you will release yourself from a highly stressful, everyday environment. Nothing brings on the sense of being alive and helps to rebuild our personal reserves like a day spent interacting with nature. 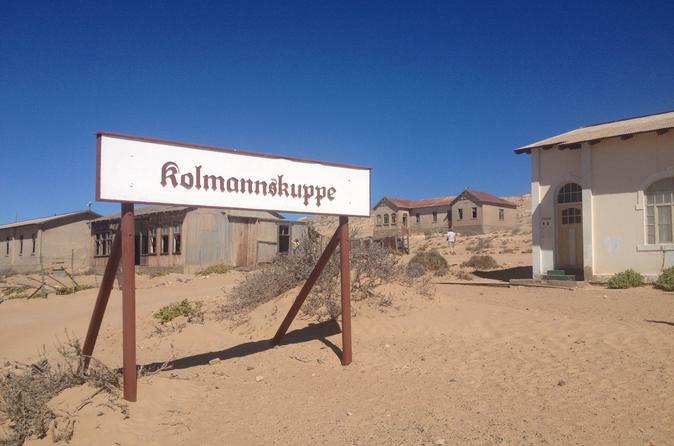 One of Namibia's famous attractions is the "Ghost Town" of Kolmanskuppe near Luderitz. Due to the great distances between attractions in Namibia it makes it difficult to reach all place should you have time constraints. This excursions allows you to visit Kolmanskuppe for the day and return on the same day. 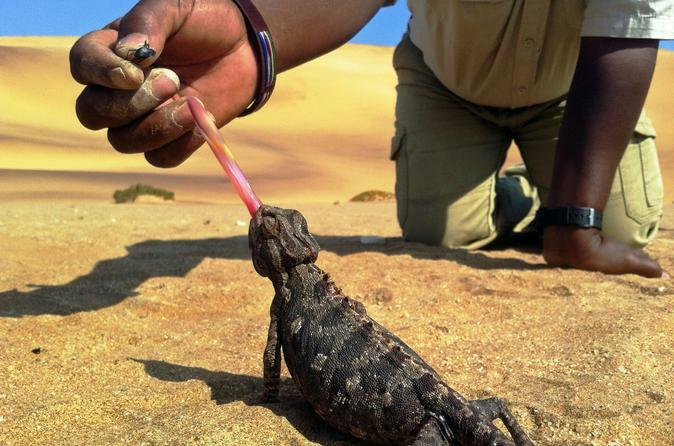 A great experience one can encounter while exhilarating the beautiful surroundings of Namibia’s dunes. This is the most popular tours, were you will ride for your life on the dunes for an hour and explore the different plants and animals in the Namib Desert, another hour you will be sandboarding andthe last hour you quad back. 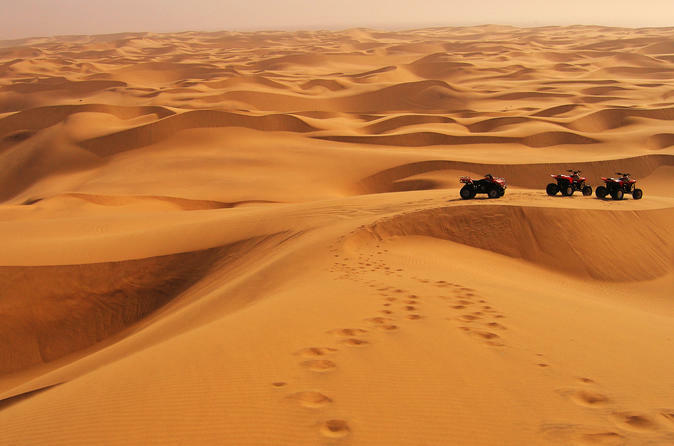 Quad Biking is the best way to see what Swakopmund sand dunes has to offer even at the most unreachable places were a 4x4 can’t reach. This is one of the best adventure experience. This African budget safari offers an amazing experience of the breath-taking sand dune sea of the Namib and provides an adventure to the Sossusvlei region. This is a small-group tour that caters for those that have limited time and wanting the comfort of a bed and en-suite bathroom. Discover the beauty of the Namibian landscape and enjoy fantastic views & the remarkable scenery the worlds oldest desert. 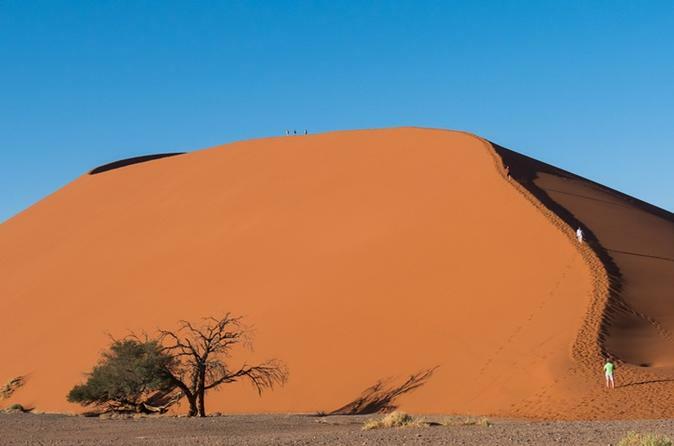 Experience the rare and rugged beauty of the Namib Desert on a 5.5-hour tour from Swakopmund. Head out to the dunes in a 4x4 vehicle with an expert guide to track down the animals and plant life that carve an existence in this arid yet stunning landscape. Learn what is meant by a ‘roaring’ dune, and bring your camera to capture the fascinating scenery in picture-perfect clarity! 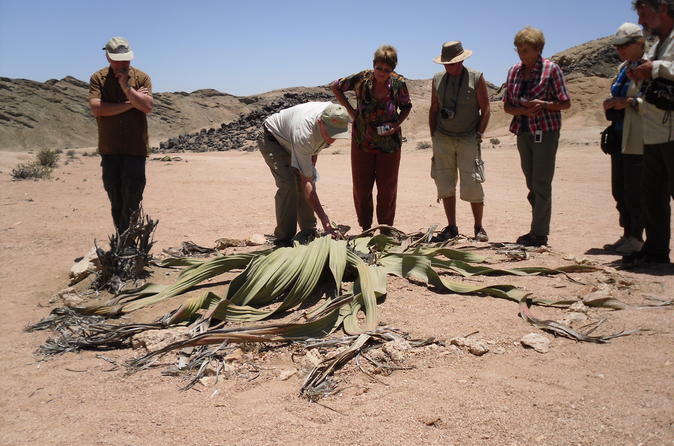 Often called the Welwitschia tour, this enlightening journey takes you through the ancient canyons of the Moon Valley, one of the most fascinating areas of the Namib Desert. Discover the culture of a true Namibian township on a 4-hour tour of Mondesa and the Democratic Resettlement Community from Swakopmund. 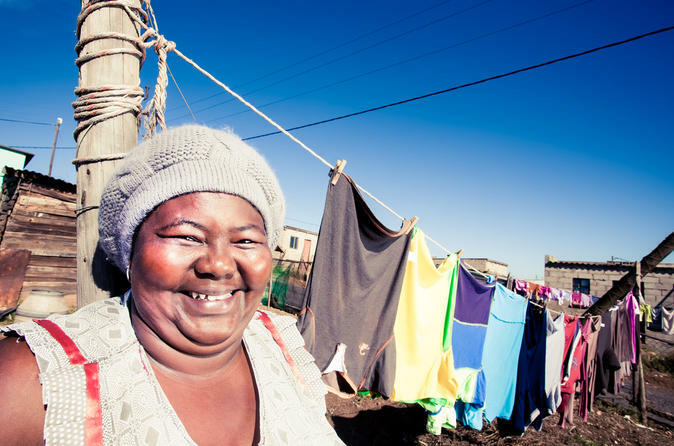 Head to Swakopmund’s outskirts and visit the township of Mondesa to meet and talk to local residents going about their daily lives. See typical Namibian homes and schools, explore a local craft market, and then enjoy a little relaxation in a local bar in the Democratic Resettlement Community. You can even indulge in several homemade African delicacies, and learn about these popular local dishes from an expert guide. 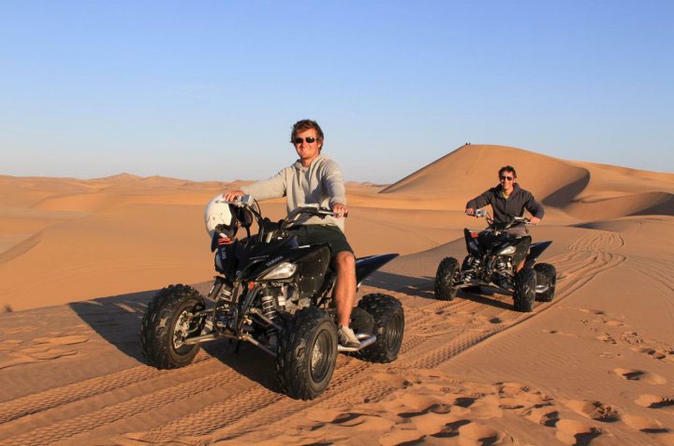 Ride around the dramatic red-sand dunes of the Namib Desert during a 3-hour quad bike experience. 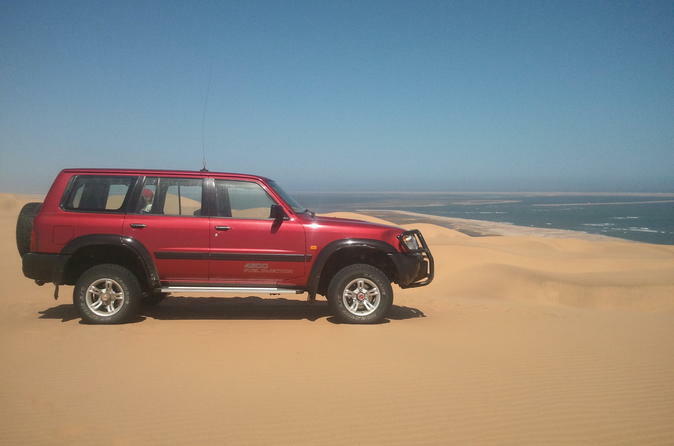 At Walvis Bay, listen to a safety briefing and then follow a guide on an exhilarating tour around the canyons, valleys and dunes of the enchanting desert plains. Look out for flora and fauna, ancient fossils and members of the Topnaar tribe, a seminomadic community who call the desert home. Numbers are limited to 15 on this small-group tour, ensuring a personalized experience.